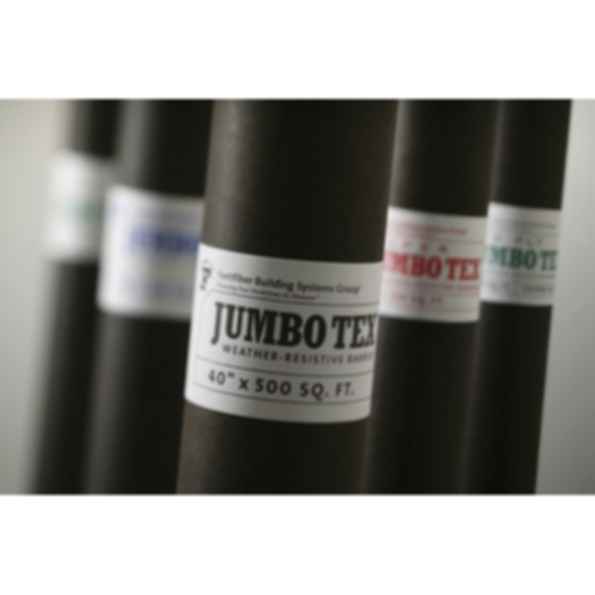 Jumbo Tex is an asphalt-saturated building paper which delivers more predictable and consistent performance than felt based solutions. Unlike some housewraps, it will retain its weather-resistive properties when exposed to either job site surfactants or wood extracts, and tannin derivatives from wood siding. It is a very cost effective solution to most weather resistive barriers and there is no comparable product that can surpass its reliable performance behind stucco, fiber cement siding, brick, vinyl and wood siding.